Shares of Apple rose 2 percent on Monday and were on the verge of a record high after billionaire Warren Buffett talked up his company's stake in the iPhone maker. Apple's stock was at $179.04, just short of its $179.26 record closing price on Jan. 18 and shaking off a slide of more than 10 percent earlier this month following a lackluster quarterly report. In an interview with CNBC on Monday, Buffett said his company, Berkshire Hathaway, had bought more Apple shares than any other stock over the past year. He also praised Apple's ability to retain customers in its iPhone ecosystem. Berkshire Hathaway disclosed on Feb. 14 that it had increased its stake in Apple by 23 percent, making it the company's largest common stock investment. Also on Monday, Bloomberg, citing unnamed sources, reported Apple was planning this year to launch its largest-ever iPhone, along with two other smartphones. Apple last year launched a 10th anniversary iPhone with premium features and a $1,000 price tag. But overall iPhone sales missed analysts' expectations in the December quarter, and the global smartphone market is struggling to grow. 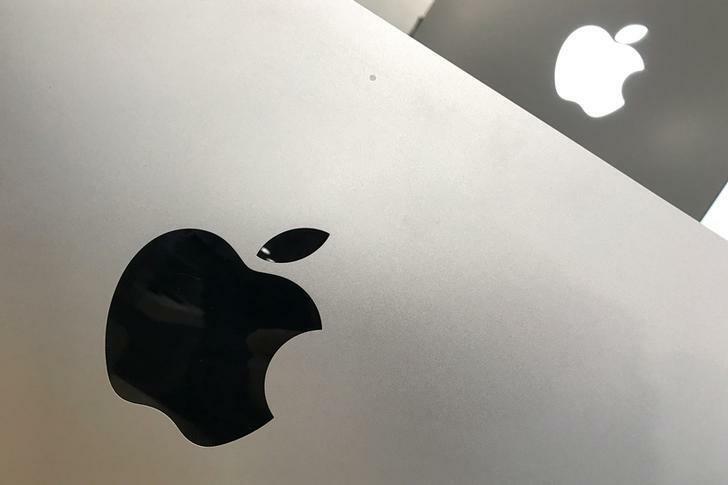 New York-based investment management firm Inverness Counsel's money managers considered reducing clients' exposure to Apple following its quarterly report on Feb. 1, but ultimately decided not to make changes, said Chief Investment Strategist Tim Ghriskey. "You still have a relatively inexpensive stock and an ecosystem that would be extremely hard to replicate," Ghriskey said. "We concluded that Apple would come out with something and calm the market, and make investors look to the future." Since its quarterly report, nine analysts have raised their price targets for Apple, while six have reduced their targets. The median price target for Apple's stock has risen from $189.48 to $192.43. At that price, Apple's stock market value would be $989 billion, compared to $909 billion on Monday. Reporting by Noel Randewich; Editing by Tom Brown.